Ancho chili pods are simply dried poblano peppers. The poblano pepper is native to the state of Puebla, Mexico and they are a type of mild chili pepper. Though green ancho chiles are mild and robust in flavor, ripe red chiles can be incredibly hot and flavorful. 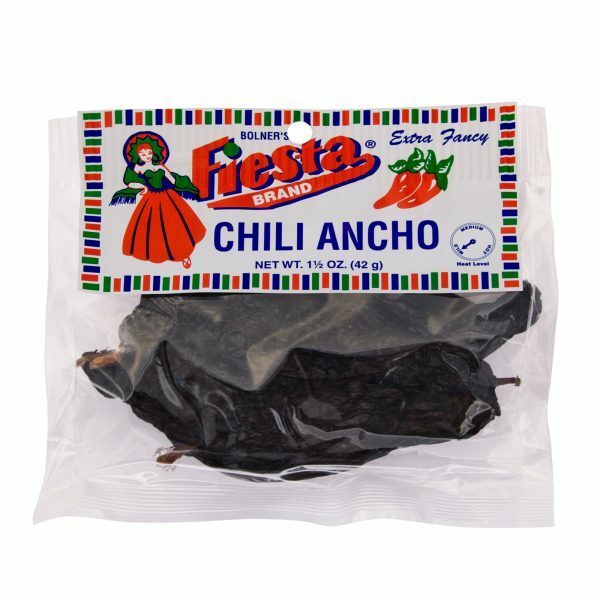 Ancho chiles are used in a variety of Mexican-style dishes including mole sauces, tamales, enchiladas and even chili. Because Bolner’s Ancho Chili Pods are dried, they will retain their heat and flavor until you reconstitute them with hot water. 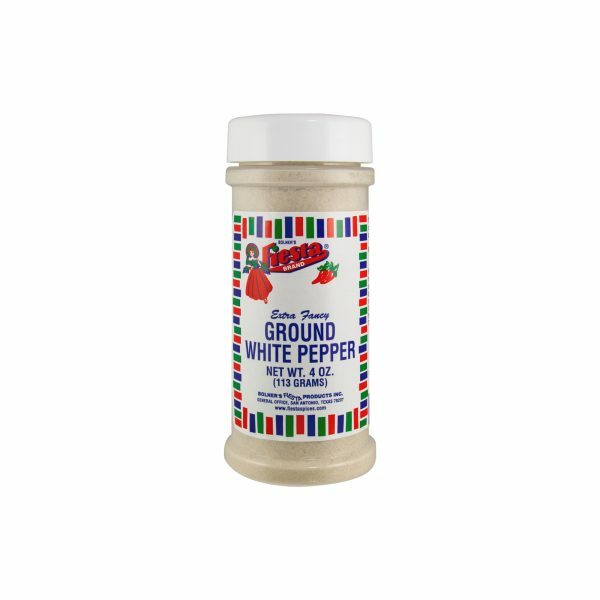 Then they are ready to use in all of your favorite soups, sauces and Mexican-style dishes. Be sure to test the chiles before using them – you may be surprised by how hot they can get! Mild, plump, black. Vary in heat from 1,200 HU (domestic) to 5,000 HU (Mexican varieties). Rich robust flavor, used to make the best chili,tamales,and enchilada sauce. This product has no significant nutritional value.Bolner’s Fiesta Brand® is the mark of quality for garlic, spices, and seasonings. Our products are selected from the finest spice producing centers of the world. 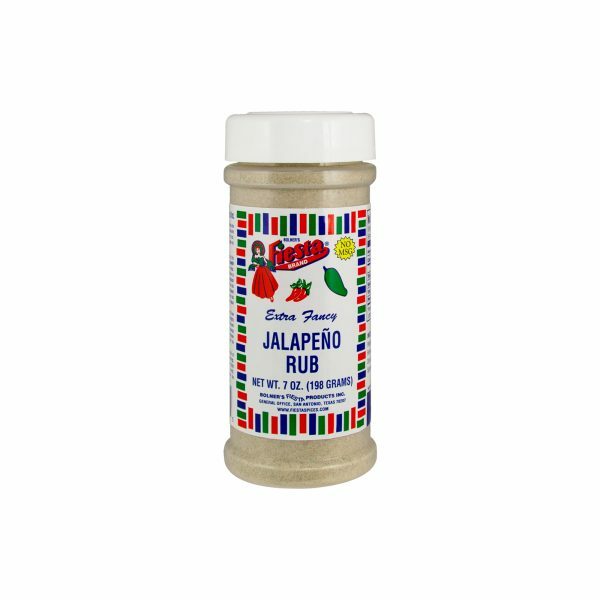 Only the best is packaged under the Bolner’s Fiesta Brand® trademark. Thank you for shopping with us. Enjoy your purchase and tell a friend!